Williams technical director Pat Symonds believes his team has the third fastest car this year behind Mercedes and Red Bull. In Austria and Britain Valtteri Bottas finished on the podium as the best of the rest behind Mercedes and in Germany beat Lewis Hamilton to second place after the Mercedes driver started from the pit lane. 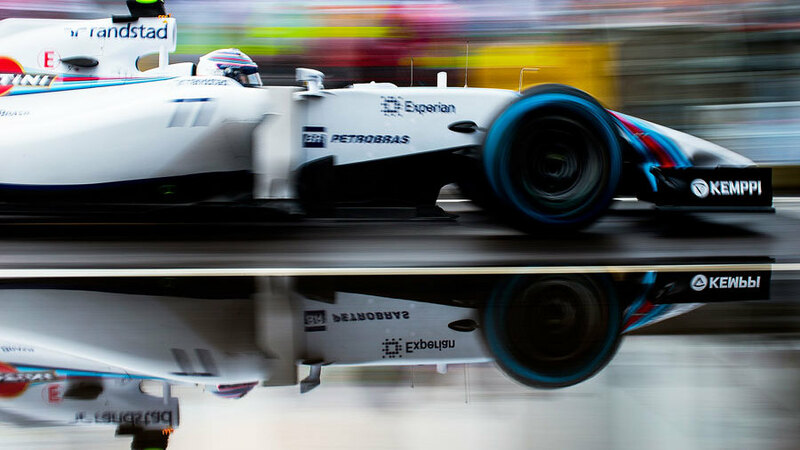 The Williams has performed better at fast tracks with long straights, but Symonds is confident it should be quick at most tracks this year regardless of layout. "I do recognise the differences for us at places like Austria, but I still believe we have the third quickest car, and if we use it and develop it properly we will be third quickest at most circuits," he told Formula One's official website . "It is very close this year - no one will say anything other than Mercedes is the best car, in my opinion Red Bull are second, and then you have Ferrari, Force India, Williams and McLaren. That is quite a tight bunch, (but) arguably we have the third-best car at the moment." However, Symonds believes Williams can punch above its weight in the same way Renault did when he was technical director at Enstone. "I don't believe up until Austria that we performed or achieved what we should have, for all sorts of reasons. What makes it difficult this year is that 43 points are taken by Mercedes at pretty much every weekend, which means the rest of us are fighting for a lot less. "The difference between finishing third and sixth overall might be quite small. If we are the third-best team, we ought to finish third in the championship - but in 2005 [at Renault] we won the championship with Fernando Alonso despite McLaren having the better car. We were a better team and we won by our racing."